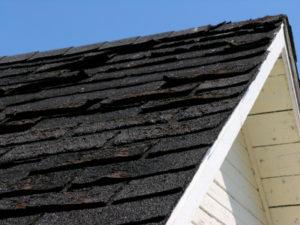 Has the time finally come for you to replace your old, worn down roof? This is a time as a homeowner that you’ve dreaded because of the financial impact it can cause. The good news is that our dedicated roofers at Refuge Roofing are a licensed roof replacement company in East Bethel, Minnesota that always puts our customers first. At Refuge Roofing, we don’t believe in the business model of taking advantage of our clients. Instead, we do everything we can to offer our clients the most affordable roof replacement options around, without sacrificing material quality and a top-notch installation job. As a fully licensed and insured roof replacement company in East Bethel, Minnesota, you can rest assured that your replacement will be done right the first time around. Our roofing installers have an extreme focus on the fine details and never miss a step in the installation process. When it comes to a big home improvement project like a roof replacement, it’s always a good decision to research your options before signing on the dotted line. At Refuge Roofing, we offer a free, no obligation roof replacement estimate which will break down all of the expected costs around your project. This will allow for you to evaluate and talk through this decision with your family before having to commit to any of the work. If you’re not pleased with our estimate, there’s no obligation for you to move forward. However, if you are like most of our other clients, we’re confident that you’ll find our roof replacement prices to be the most affordable in East Bethel, Minnesota. Since a roof replacement is such a large investment, you want to make sure that you’re investing in the longest lasting shingle available. At Refuge Roofing, we highly recommend investing in an architectural single. 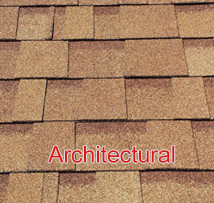 This type of shingle is thicker and has more layers than the standard 3-tab shingle style. An architectural style shingle not only brings a beautiful look to your roof, but it also helps keep your home protected from the tough weather that hits East Bethel, Minnesota throughout the year. With any roof replacement project, you should aim for the shingle with the longest life expectancy, and that’s exactly what you get with an architectural style shingle. So, if a roof replacement is something that needs to happen with your home, it’s important to find the right licensed roof replacement company in East Bethel, Minnesota for you. If affordability, high quality roofing materials and expert roofing installers are high priorities for you, then there is no better option than our team at Refuge Roofing. To request your free, no obligation roof replacement estimate, give us a call today at (651) PRO-ROOF.